The Hadley Jacket is quilted and reversible. 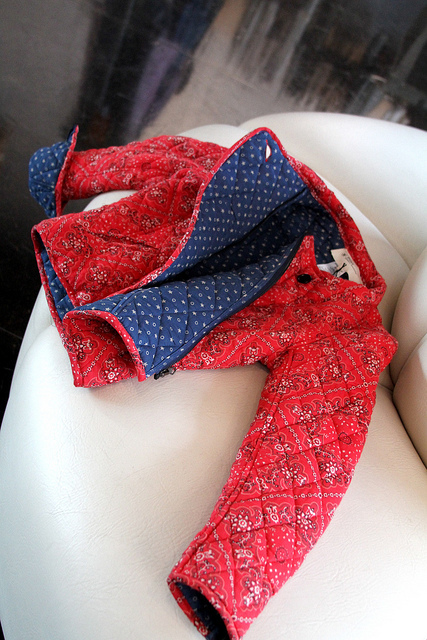 It has a western bandanna print in red and blue stars on the other side. 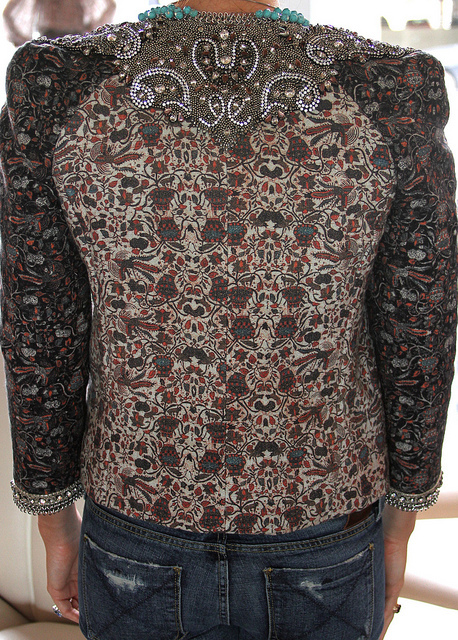 It has a moto jacket cut and is priced at $505. 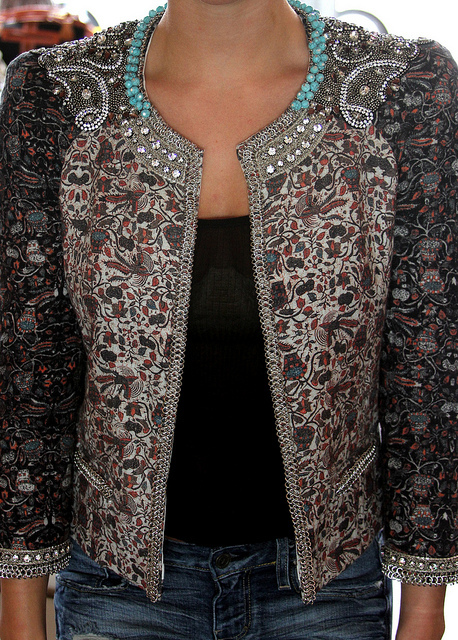 The other Jacket is the July Jacket, it's embellished with crystal and turquoise beading and runs $2125. Model Anja Rubik is wearing it with boyfriend shorts in the first picture. These two pieces are available at V.O.D. Boutique.